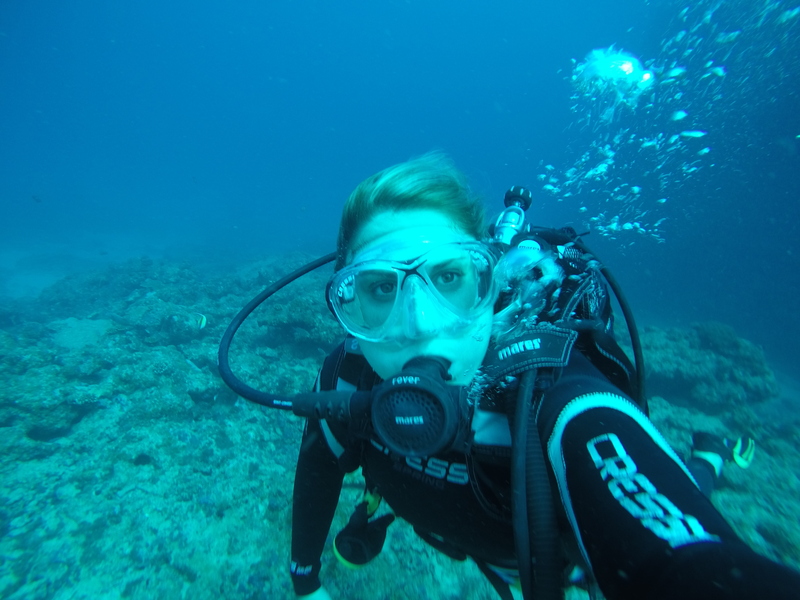 This article is part two in a series about the process of getting my PADI Divemaster certification. I felt that it was not real life to omit the fear I had to overcome to do this course, so I wrote about that in part one. This article will focus on the good and bad parts of doing my PADI Divemaster course at Sundivers at La Pirogue in Mauritius. At the end of the article you will find my suggestions in choosing a place to do your Divemasters. After failing at my Divemaster (DMT) course the first time around due to a heavy dose of fear and anxiety, I went into finding a new dive school with more than a little bit of apprehension. I wanted a school that was supportive, organized and safe. As I was spending the summer in Mauritius, I decided that the little island, with it’s warm water and familiar dive sites was the place. I choose to go back to the dive centre where I actually did my first ever scuba dive, Sundivers at the La Pirogue Hotel. La Pirogue is a friendly four-star hotel on the West Coast and has beautiful green gardens set back from a long stretch of beautiful beach. It’s the kind of resort where you’re happy to spend the day barefoot and your only concerns are the ripe coconuts that fall from the hundreds of palm trees. The dive centre has been running for over thirty years. With a staff of six people they dive three times daily with full boat loads each dive in the summer season. It is a very busy operation and they run like clockwork most days. It has great reviews on Trip Advisor mostly due to the owner who spends his days socialising with guests over cups of coffee- more on this later. 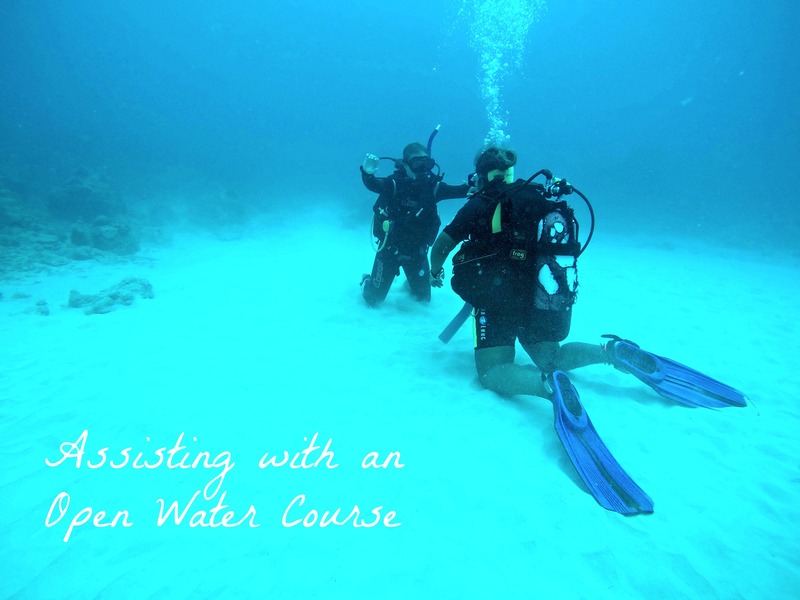 For those who are not familiar with the course, the PADI accredited DMT Certification is a structured course that takes between 6 and 12 weeks to complete. DMT applicants need to be above 18, have 60 logged dives by the end of the course, and are certified rescue divers. It has lots of different components from water skills to extensive decompression theory. It pretty much covers everything you need to know about diving, how diving affects your body, how to be an affective leader and how to grow a diving business. It’s incredible comprehensive which is justifiable when your learning to take other people’s safety in your own hands. When you have finished the course and passed the exam, you can lead and assist with a whole bunch of PADI accredited courses. For more information, http://www.padi.com has everything you would need to know. 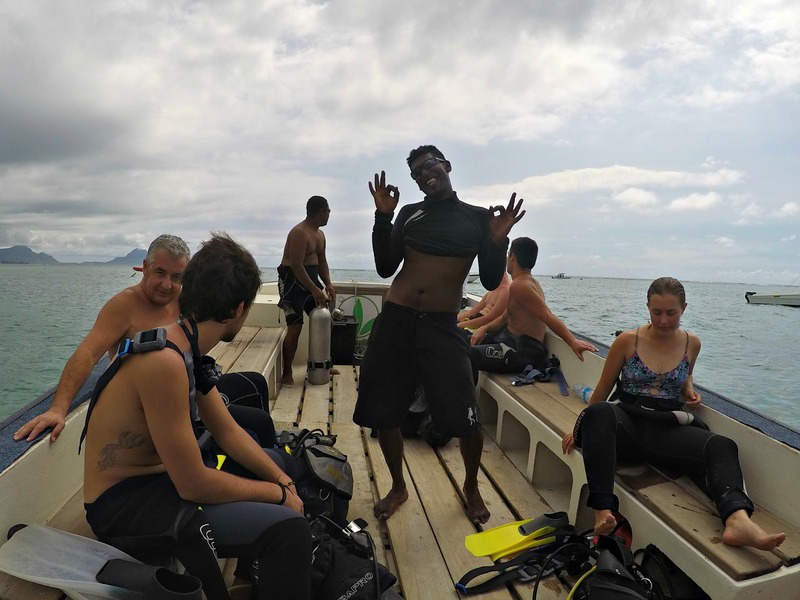 Instead of focusing on the specifics of the course, I thought I would write about my personal experience doing my training at the La Pirogue dive centre. Although I ended up finishing and passing the course, there were many things about how the dive centre was run that didn’t sit well with me. I hope that by reading my experience, I can you help you choose an amazing dive school for your DMT or just simply entertain you with my stories (stick to the end to read about my near-encounter with a corpse and how my instructor nearly killed me). The Staff- The dive centre at La Pirogue has some great staff. All the main instructors work so hard at their jobs, love diving, and are just positive human beings. My two main instructors, Anais and Jean-Marc are safe and patient teachers and during the day would rarely even get to sit down to shovel some food into their mouths. They were happy to call off a dive if the diver was panicking or distressed. Herman the Divemaster was like a kid in a candy store every time he went diving and he would laugh manically every time he played a prank on me. His favourite prank would be to wait until I was just ready to get out of the communal shower, then he would leap in with a giant handful of shampoo and rub it into my hair. I would then have to wait until he wasn’t around to wash the masses of frothing shampoo out of my now squeaky clean hair. His other favourite prank was the old bread-in-the-BCD trick. Having bread in your dive gear would lead to you slowly getting engulfed by hungry fish on your dive. 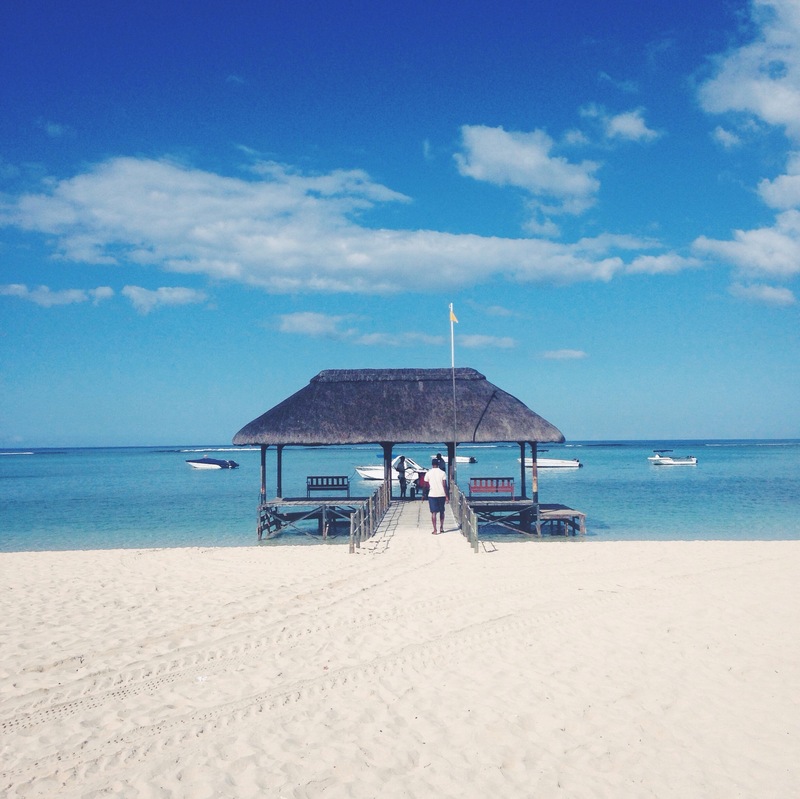 The Dive Sites- Having now done dives off every coast in Mauritius, the dive spots in Flic En Flac are very good. With only a couple of dive companies utilising around 20 dive spots, you almost never run into another group of divers. A good thing for new DMT’s because divers all look remarkably similar underwater and you really don’t want to mix groups. The coast has two very good beginner sites (less than 20m) named ‘The Aquarium’ and ‘Coral Garden’. 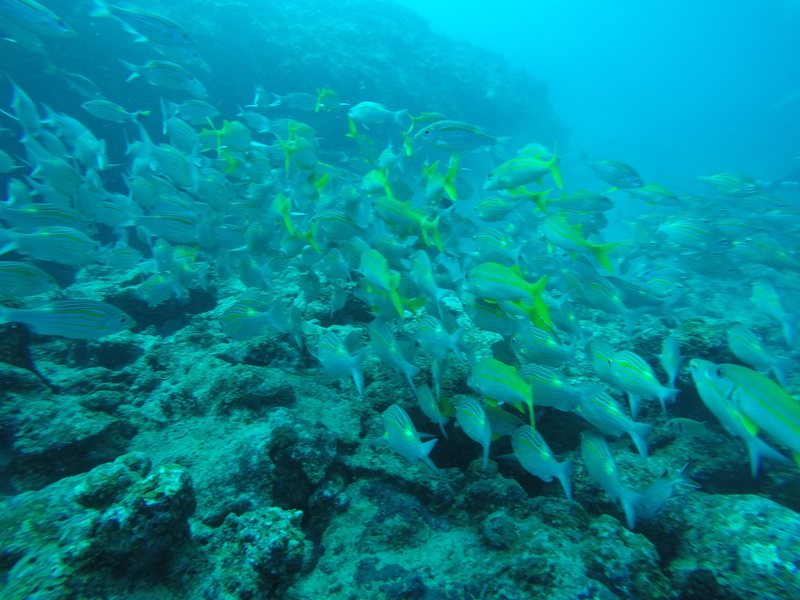 Both sites are just out of the reef and can be reached by a ten minute boat ride. Both are rocky sites with anemones, gathering schools of fish, and occasionally impressive eagle rays. The deeper advanced sites nearby stand out with their rocky formations and colourful soft-corals. The Location- This played heavily into the decision for me as the dive centre was a comfortable 20 minute drive from my apartment. Flic en Flac has some amazing spots to eat cheap street food and I quickly got into the routine of buying lunch for a couple of dollars everyday. The Price- As a near-broke traveller, the price was obviously another big factor in my decision. The management at the La Pirogue dive centre allowed me to do my DMT for 12,000 Rupees (AUD$450). A good price considering you can pay upwards of AUD$1000 in Australia. Although in retrospect it did turn out to be a “ you get what you pay for” experience. The Intensive Experience- I was thrown into the deep end (pun intended) when I was expected to lead a refresher course on my own on day one. 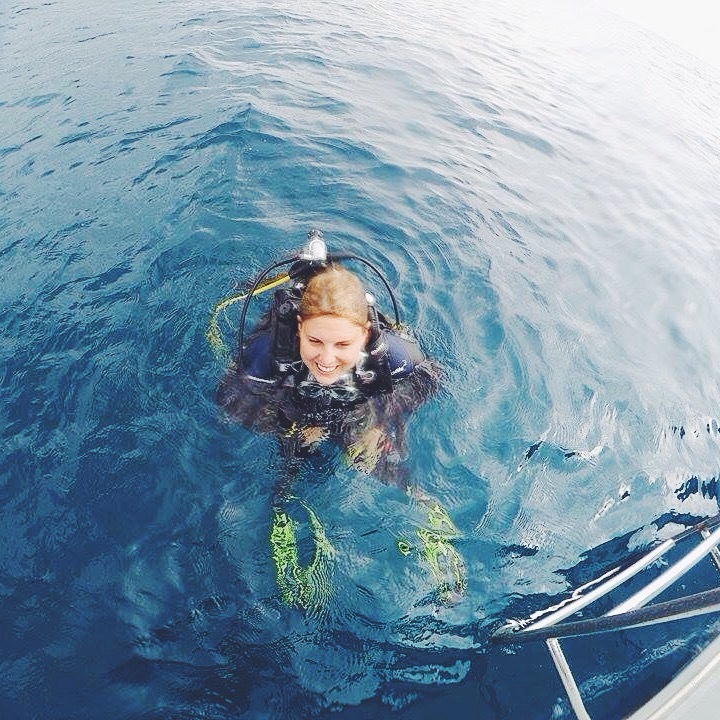 Sometimes having such a hands-on experience felt like slave labour but other times it felt like I was getting some invaluable experience working as a dive professional. The formal training- Because I was doing my course over the busy season (summer), the centre was running at full capacity everyday. 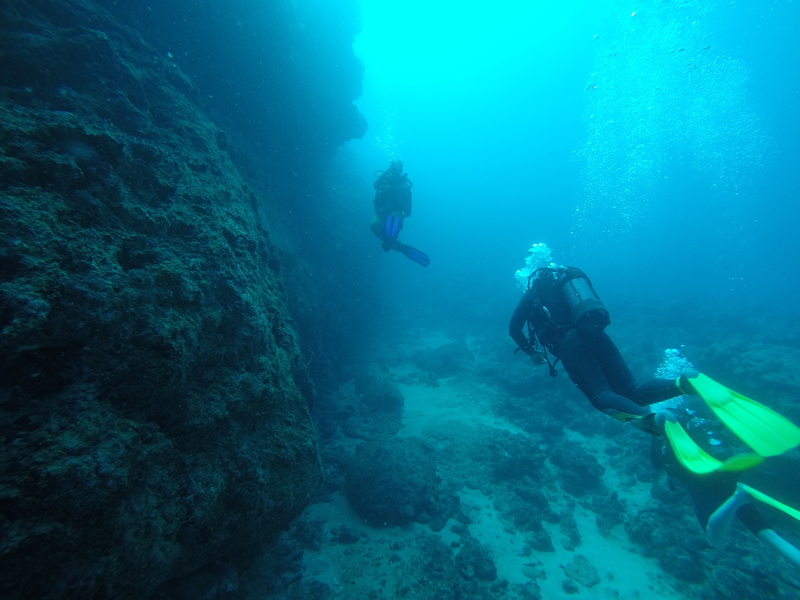 Full capacity being three dives, up to seventeen divers on each dive with only three instructors and a DMT…. In other words, it was crazy busy. With divers needing to be refreshed, do their open water and advanced courses and beginners who just wanted to try out the sport. When the staff saw that I was a competent diver (on day one), they quickly gave me DMT responsibility. By the end of week one, I was basically acting as a normal staff member taking refresher courses, assisting with open water students and even teaching day one of the open water course. My training fell by the wayside to the point that I had to ask (and beg) for them to assess me on my water skills and the various other components of my course. I found myself taking lots of days off because I was simply physically and mentally exhausted. Being the only trainee- If I was to go back and do the course again, I would make sure that there was at least another DMT being trained at the same time. It would have made it more fun and the moral support on those tough days would have been appreciated. That one time my instructor tried to kill me- One of the water skills you have to complete in order to get certified is an 800m swim with snorkel, mask and fins. Most students would complete this in a pool or simply swim along the beach with the instructor keeping time. My instructor had the great idea of swimming back to the centre from the dive site. The swim was way more than 800m which in itself wouldn’t bother me as I am a pretty strong swimmer but in order to get back you had to swim across a reef. On this particular day, it was fairly rough but the instructor assured me there was a gap in the reef and we could swim through it without being dashed by the big waves that were crashing over it. I naively swam after my instructor, being tossed by the huge waves breaking over head. Then the water started to get shallower and shallower. Soon I was swimming in about 30 cm of water over sharp coral and urchins. I had to cling on for dear life as the waves smashed into me. I have no idea how I got out of that situation without a single scratch but I did. When I finally dragged myself up onto the beach, my instructor informed me that he hadn’t timed me but that “I did okay”. Very poor environmental management- In my opinion, dive centres have the most to lose with poor marine management. By not remodeling environmental stewardship they are killing their business one coral polyp at a time. For every dive they dropped an anchor carelessly onto coral, they encouraged divers to touch fragile anemones, they used harsh dish washing liquid to clean out equipment at sea, they chased lion fish and picked up starfish. I am firm believer in never touching anything on a dive because I know that our hands can cause such damage to sensitive marine life. I hope the dive centre picks up their game soon before they drive themselves out of business. No tourist wants to see damaged and dead coral. The owner- Without going into too much detail, the upper level management of Sundivers overworks and underpays it’s staff (three dives daily, six days a week). I was there over Christmas and not only did the staff had to work six days a week over the holiday period but they had to work Christmas Eve, Christmas and News Years Eve. When they requested the first of January off, they were told they had to work a Sunday to make up for it. All whilst getting a salary of around AUD $700 a month. As for being a woman in that environment, the owner would regularly touch the women without permission. Despite being there for a month, he never introduced himself or had a conversation with me. However on a regular basis, he would poke me in the stomach, punch me on the arm or jab me in the ribs. Not cool, dude. The missing body- On my very last dive at La Pirogue, just before I was about to jump into the water with my group of customers, my instructor calmly informs me there is a body missing in the area and if I find the corpse just let someone know. What?! So not only could I possibly run into a bloated corpse on my dive but I then had to shield in from the group of innocent, unsuspecting tourists I was leading on a dive. Dive conditions that day were terrible with 2-3m visibility. I didn’t end up finding the body but I was flippin’ terrified the whole entire time. So there we have it. 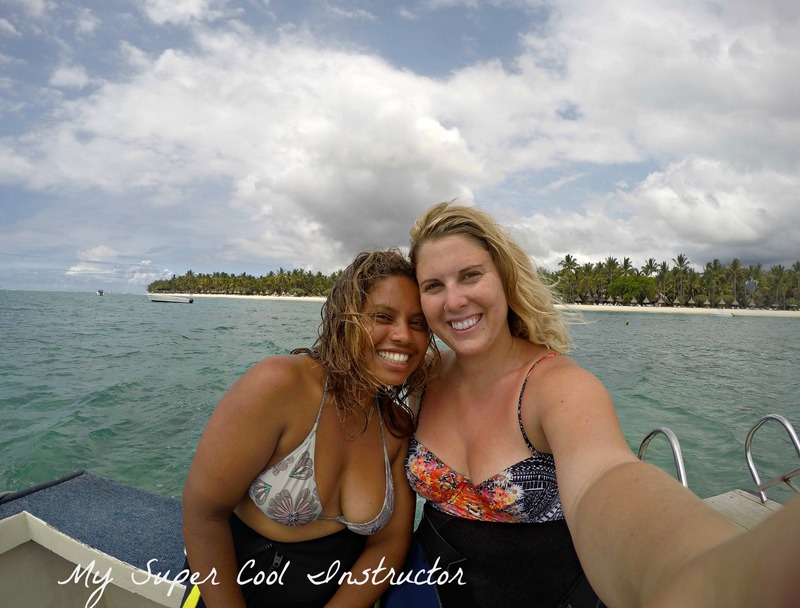 The good and bad of my time at La Pirogue doing my divemaster training. For all those who might be considering doing their DMT, here are some quick tips of choosing the right place for you. 1. Do your training at a dive centre that regularly trains new divemasters. 2. Make sure there are other divemasters training at the same time. 3. Try and do your course over the low season or at least in a shoulder season. 4. 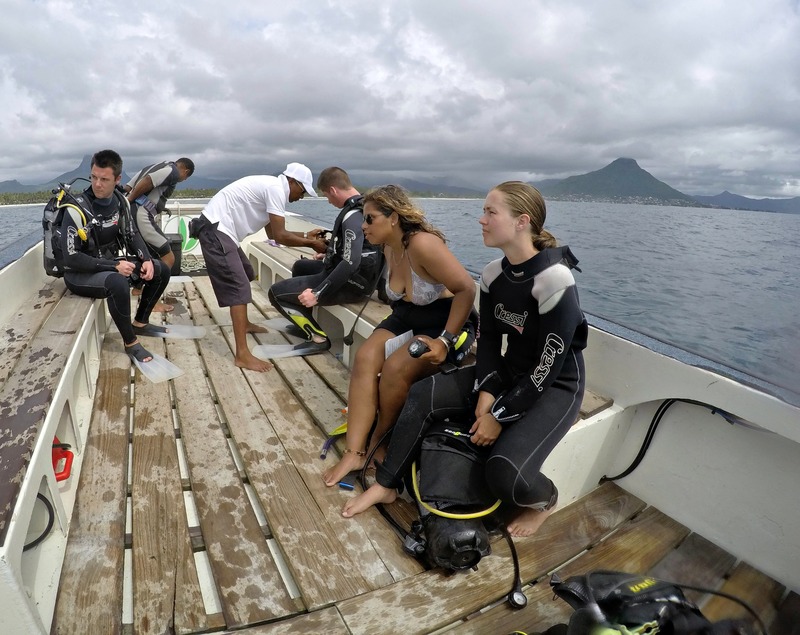 Do a couple of fun dives with the company before signing on to see if you are a good fit. 5. 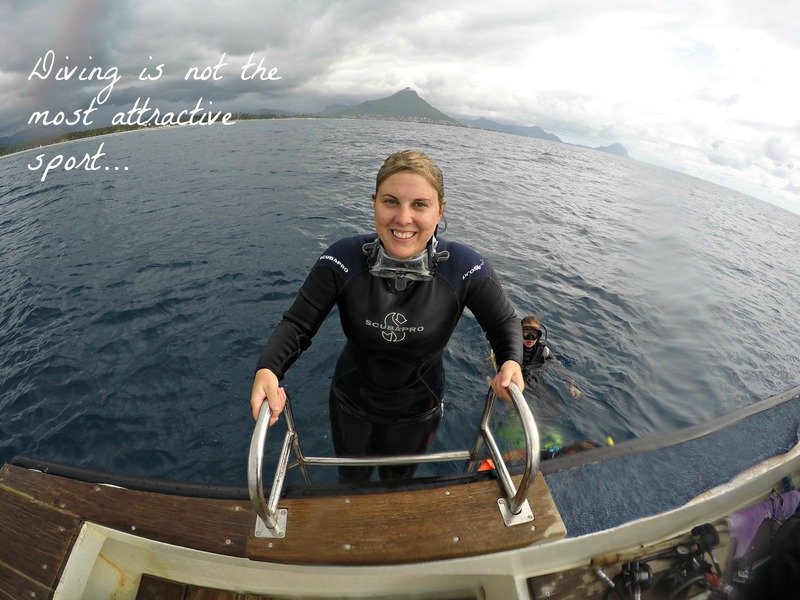 If you are a women, choose a dive centre with other women instructors. Sometimes diving gets a little too macho. 6. Question the dive centre about the importance they place on environmental sustainability. 7. Check out the centre’s compressor and equipment to make sure they are using safe and up to date equipment. 8. Ask about their policy on diver’s who panic or are uncomfortable: are they caring towards individuals or more interested in their money? Have you done your DMT course? Or are you thinking about it? Let me know in the comments below or send me an email at dirtypawsblog@gmail.com.